Microsoft have finally clarified their self publishing plans for the Xbox One, allowing developers to create, sell and market games through the new home console. All developers accepted for the scheme will receive two Xbox One development kits free of charge, as well as access to the full range of services on offer to games development teams – cloud services, Kinect and the Xbox One toolset, which includes Smartglass, multiplayer, Achievements and Gamerscores. Applications for the self-publishing service, named ID@Xbox, are being accepted from today, with Microsoft stating that priority will be given to developers with a proven track record in shipping games on console, mobile, PC or tablets and there are no application fees for certification or for title updates. In order to help with the discoverability issues that trouble all self-publishing stores, Microsoft is promising that all games will feature in the regular Xbox One store and be supported by voice search. On top of that the store will also feature trending games reflecting what the community and friends are playing, recommendations based on a consumer’s playing habits, spotlighted games and the ability for developers to set community challenges, as well as support the Xbox One’s Game DVR and Upload services. Phil Harrison, corporate vice president at Microsoft Europe’s interactive entertainment business, revealed that Microsoft will set the price of self-published games after developers have established their wholesale price and that developers are likely to receive an industry standard 70/30 split in their favour. “The developer can set their own wholesale price and we act as the retailer. So Xbox Live acts as a reseller, and Xbox Live Store will be setting the ultimate retail price to the consumer. That’s the way in which our store has always been structured,” he said. Independent developers who have already given their support to Microsoft’s new initiative include Chris Hecker, The Behemoth’s John Baez, Paul Wedgewood from Splash Damage, Other Ocean’s Mike Mika, Team 17’s Debbie Bestwick, The Odd Gentlemen’s Matt Korab, Ripstone’s Phil Gaskel and Dlala Studios. Microsoft has said that eventually it hopes that every Xbox One will become a development kit for self-publishing purposes. Train2Game blog readers who want to get a sneak peak at which British studios could be the future of the UK games industry should definitely look at this article by Industry Gamers. Titled United Front, it looks at seven UK game development studios to keep an eye on. Some Train2Game students may have heard of, others may be completely new to them. 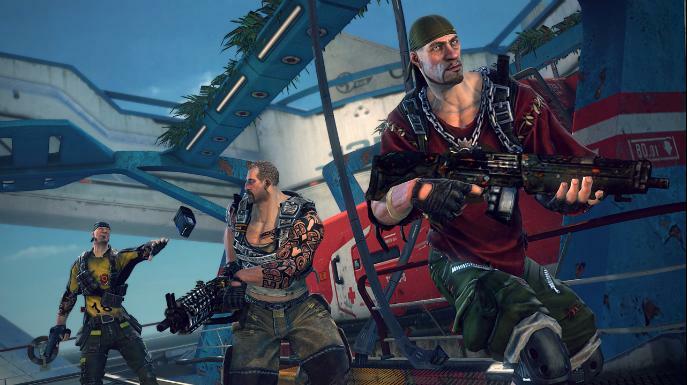 Perhaps the biggest name on the list is Splash Damage, the studio behind Brink. 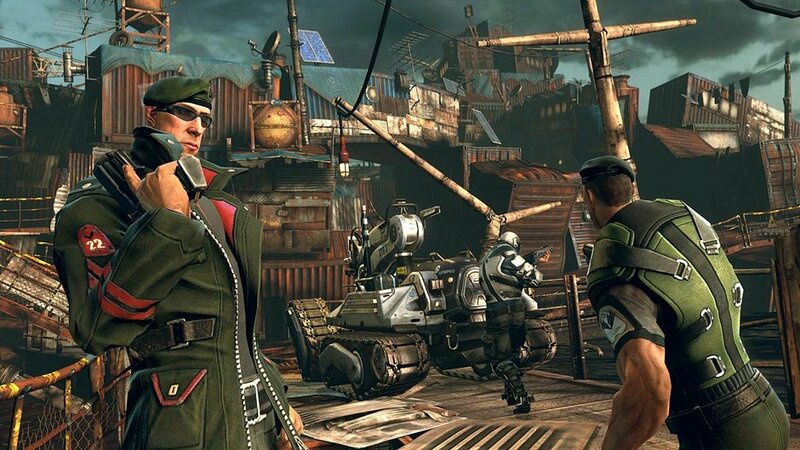 The Train2Game blog recently interviewed Splash Damage’s Ed Stern about Brink and writing for video games, read it in full here. Social, digital and Flash developer Mediatonic are another name on the United Front list that has also been interviewed by the Train2Game blog. Read our interview with Mediatonic Director of Games Paul Croft here on the Train2Game blog. North East studio Eutechnyx are praised in the article, lead programmer Dave Hawes featured in one our Train2Game at Eurogamer video interviews. Meanwhile, Train2Game student Darren Price has recently started a work placement at Double Eleven, which Industry Gamers notes was founded by former Rockstar North developers who have impressed Sony enough to be signed up as an exclusive PlayStation developer. They’re currently working on LittleBigPlanet for PlayStation Vita. The three other studios featured in an article that paints a positive picture of the UK games industry are Mobile Pie, Fight My Monster and CCP Newcastle, with the latter developing Eve Online spin off DUST 514. Train2Game students can read the full article ‘United Front: 7 Studios to keep an eye on’ here. So Train2Game, what do you make of the list? How positive it that a Train2Game student is currently on a work placement at one of them? Train2Game was at last month’s Games Writers Panel at BAFTA’s headquarters in London. There, the Train2Game blog spoke with panellist Ed Stern, Lead Writer at London studio Splash Damge. In an in-depth interview, Ed discusses development of Brink, game design and game writing and offers advice to Train2Game students on how to get into the industry. Part 2 focuses on narrative in games, what makes a good game designer and advice on how aspiring writers can get into the industry. It’s on the Train2Game blog, or alternatively you can read it on Train2Game’s Scribd page. Part 1 of our interview with Ed Stern is available here. We’re here at BAFTA for the Games Writers Panel, the theme is ‘Putting the protagonists in the hands of player kills traditional narrative concepts,’ what are your views on that? It’s really interesting because we’re so used to, as writers, we think about character a lot and we think about action a lot. But compared to prose or theatre, stage play or screenplay, we just have to empty out our tool kit almost completely. All we’ve t left is a hammer and when you’ve got a hammer everything looks like a nail! It’s really hard, we’re giving up control to players most of the time. Basically, if it’s a cinematic, players resent it because they’re not in control. If the player is control you’ve given up all control of the pacing and meaning to the player, what happens if they just don’t want to look at the thing you’re claiming is important? I think part of the answer is what Bernard Herrmann did with movie scores. He realised the symphonic form or the classical form, it needs too long to develop, you need to write in tiny little dramatic units that’ll work no matter how short the scene is. It’s kind of like that and you just get used to writing at postcard length, or Tweet length. So what do you think makes a good game designer? I don’t think there’s any one quality but I guess adaptability because your Plan A will never work out. It’s like they treat you at Sandhurst, no battle plan suffice contact with the enemy, battles only ever take place on the edge of maps, never in towns you can’t pronounce. It’s kind of like that! It’s the art of the possible and there’s and old joke; you finish up the game with the team you should have started with and a month after it shipped you find out what it was about. So you want people who are flexible enough to not get too up or too down about stuff, but still remain completely passionate and committed to it. I think it’s hard for people when they first join the industry as they can do the passion but they can’t do the pragmatic. Or you get people who are a bit too pragmatic and won’t stand up to fight their corner and be passionate about it and then accept the production decision when it’s made. So as in all things, balance. It was just dumb luck. I was working in TV production making TV about computer games, or out of computer games, and one of the guys we had as a consultant was setting up a studio and needed a part-time writer to do press releases and I just fell arse backwards into it…Which I realise isn’t a replicable step but there’s lots of stuff now as then. There’s a huge mod scene, there’s lots of teams making games out of existing games using existing technology, changing the look and changing the meaning. No one is stopping anyone from making game; it’s just very hard to get paid for it. But when you’re in that initial phase there are certainly projects out that that need writers or need designers, it’s just whether anyone is going to pay you for that time. But it’s always more important to finish something than to start something, that’s what we look for when we’re hiring, what people finish in their portfolio, not what they start then kind of get a bit bored with and give up on. Carrying on from that, what advice would you give to a writer or designer looking to break into the industry? Learn to code, learn Unity, learn Flash, be able to make a game. Because even if you’re not great a graphics or great at sound you’ll understand what the issues are. You know that game Game Dev Story? You want to have at least a couple of stats in the other disciplines. Even if you’re never going to be hired to do sound, have some idea what the issues are with sound. If you’re a writer have some idea what the graphic issues are so you don’t inadvertently end up writing a cheque that no one else can cash. I think that’s a problem for people coming into the games industry from other industries, they just don’t realise some things are incredibly cheap. I mean in games it’s not that much more expensive to make a building fly through the air then it is to just sit there. By the time you’ve made it you might as well move it around. But some things are incredibly expensive. Like facial animation; that’s ridiculously expensive and that’s something you get for free in theatres and movies. Close-ups are incredibly hard for us; they’re way more expensive than any other shot. But then again by the time we’ve built a set we can fly the camera around for free, that’s cheap for us to do, we don’t need to hire a helicopter. So yes, have some awareness of the other disciplines and the relative costs, I think that’s the most useful thing. Speaking of facial animation, do you believe games will get on a par with films and television? We saw it earlier this year with L.A. Noire but it takes a lot of time and effort right now. Possibly, it always sounds like it’s just around the corner. Maybe it will be with enough computing power. Photorealism, it’s a blind alley; games are a million times more expensive to make than Tetris now, they’re not twice as much fun as Tetris. Games like Limbo, now that’s not a realistic art style but it’s a fantastically immersive one. Project Zomboid is a very unpromising sounding game, it’s about a zombie invasion, surely that’s been done to death? They do amazing things with that premise, Will Porter, the writer does incredible work within four lines; I was totally, absolutely obsessed with the fate of those characters. Graphically that’s not enormously complex and it’s just text on screen but it’s enormously effective. Now that’s not expensive, but it’s bloody good writing and it’s really effective on the player. So maybe that’s a more effective way of doing it because it’s not as expensive, but it’s not trying to be movie and as a result you get playing immersion and dramatic involvement much cheaper that way. Thanks for your time Ed. Train2Game attended last month’s Games Writers Panel at BAFTA’s headquarters in London. There, the Train2Game blog spoke with panellist Ed Stern, Lead Writer at London studio Splash Damge. In an in-depth interview, Ed discusses development of Brink, game design and game writing and offers advice to Train2Game students on how to get into the industry. Part 1 focuses on Ed’s role as Lead Writer, the design and art of Brink. Read it below here on the Train2Game blog, or alternatively you can read it on Train2Game’s Scribd page. Part 2 of the interview is here on the Train2Game blog. First of all, can you tell us a bit about your role as Lead Writer at Splash Damage involves? It’s an odd one. It’s sort of a narrative designer director role which means lots of things. It can end up being virtual location scout and production designer and wardrobe guy. I think a lot of it is giving design documents and reference images to artists, environment artists and level designers and so on. And it’s tough for writers because we’re used to working with words but lots of people who make games aren’t textually inclined, you’ve got to give them images. So, photo research is bizarrely a lot of the writing I do. Because it doesn’t matter if I write a document that I think describe what’s going on, that’s not the target audience, the target audience is the team making the game and quite often they’re more visually inclined. So yes, writing back-story, creating the world, writing cinematics, storyboarding cinematics, writing dialogue, directing performance capture, directing voiceover and trying to do localisation as far as possible. Well it’s not so much trying to do that as building in localisation, so something like ‘here’s a text box, I can’t fill it with text in English because in German it’ll be a third longer so whatever I write has to be a bit shorter than that” That’s the glamorous world of games writing! Splash Damage released Brink earlier this year, how did you go about writing it? Well that was really fun because that was the first time we at Splash Damage produced our own original IP. Previously we got to work on Quake and Doom and Wolfenstein which is fantastic, because if you’re working on other people’s IPs that isn’t a bad place to start! So we needed to demonstrate we come up with a world. Arguably we overwrote that, that’s kind of an RPGs worth of back-story and world for pretty much just a multiplayer shooter. But it was great! It was great fun to do and the goals were it couldn’t look like anything anyone had seen before, and we wanted to be sticky, it’s a great test of a character. You turn the page and do they still linger in your mind? Dickens is a great example of that. He’s got characters who only have a detail of their costume, he only talks about the guys’ waistcoat, but he’s really memorable, even after you put the book down you think what was it about that guy? So the goal was that the world itself would be the games main character and it would be memorable and even when you’ve finished playing you’re thinking ‘What was the deal with…Oh that, that’s the half of that that was in that other level there!’ It was trying to create a world complex and sticky enough so players will think about it even when they weren’t playing. Is that the reason behind the very distinctive art style Brink has? Partly. 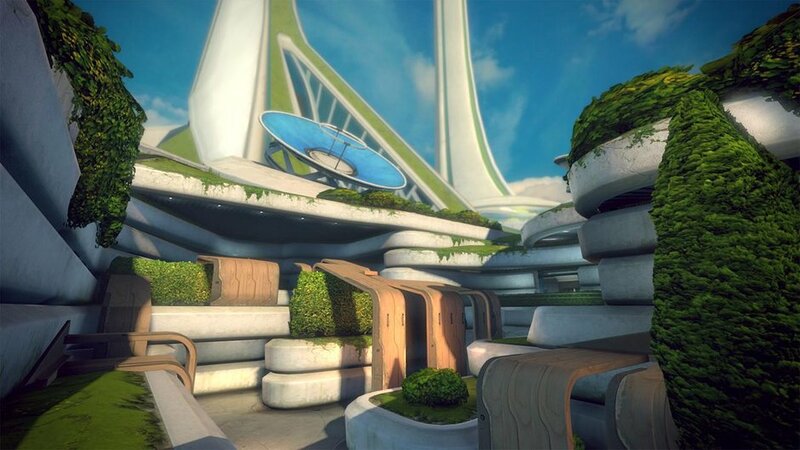 I mean partly that’s just to get away from photorealism because there are enough dark brown or green shooters and so it was a unique thing. Also for immersion, I mean realism doesn’t actually engender believability. In fact it turns out that you can exaggerate facially quite a bit, it’s whether there’s an immersive character or situation. But yes, partially it was also to be visually distinct. It made it interesting trying to direct for that with performance capture, because the actor makes a subtle gesture, but by the time it’s been replayed on this enormous hand model with these huge great meaty fingers, quite a subtle gesture turns into this huge operatic gesture. We didn’t see that coming, we should have anticipated that. What were the challenges of writing a mainly multiplayer focused game in Brink? One of the things we did – for instance there’s a level called Container City and it’s a kind of slum – and if you go there as Security you’re told ‘They’re building a bio weapon, you’ve got to get this thing,’ and that’s a pretty important reason to go and get that thing, fair enough. But if you’re as Resistance you get told ‘They’re stealing our vaccine.’ So hopefully they care about that. Or my personal goal if they’re paying attention to the story – and lots of people don’t, that’s another thing – is they go which is it? And we’re never going to tell you definitively and it’s entirely plausible that it’s both because what do you make vaccines out of other than viral particles which could be used as a bioweapon? The goal was that it wasn’t just ‘Take objective to place B,’ that we were going to dress it up in a fiction, so that even though it’s all just chaotic being shot in the head action, the narrative carries on even though the cinematic was over. That was the challenge. And what was the thinking behind adding the alternative game endings as missions? Well we didn’t want to privilege one story over the other: if you win fantastic, if not that other thing happened. We didn’t want there to be a canonical ‘this is correct and all the other ones are wrong.’ Actually it turns out there is kind of a storyline but we didn’t want to collapse all the possibilities down unless we absolutely had to. I think it’s a problem with lots of games that in their urge to explain everything they kind of explain everything away and it’s like an equation where it all factors out and there’s nothing left, it just goes, and it’s an exhaustive explanation of what’s going on and there’s nothing left to think about. So we quite like that there were these loose ends and the loose ends themselves would join up, and so players should have questions should have questions about ‘Why are they doing that?’ If they’re of a disposition to listen to audio diaries, ‘Oh that’s what that was about!’ Even if players aren’t into that I think they can sniff it in the time and trouble that’s been taken. So that was the goal, even if people didn’t watch all of the cinematics or read all of the diaries, somebody has done the work and it does all add up to something. Looking back at a Brink, if you could change anything, what would it be? We weren’t able to do it, unfortunately, but it was very much the plan that you would be one of the characters in the cinematics, it would be you doing those things. But because we really wanted to let people choose their voice packs; that would’ve meant recording every line of dialogue in every single one of the voice packs and we just didn’t have the budget to do it. That I think would’ve changed the sense of story, because it would’ve been you going through it, not just three guys you might or might not care about. That would’ve been one thing that would’ve changed the meaning of the game and it’s a shame we weren’t able to do that. Read part 2 of our huge interview with Ed Stern here. Train2Game Game Designers in the London area won’t want to miss out on the BAFTA Games Writers Panel later this month. 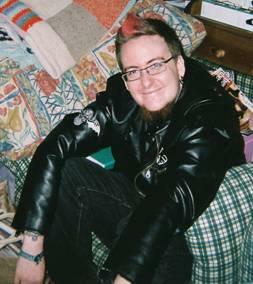 The panel will be chaired by Andrew S Walsh who has experience as a writer and director on over 50 games including Prince of Persia, Harry Potter, and Medieval II: Total War. They’ll also examine how ‘killers, combatants and characters doomed to die a thousand times can still play the hero’. In addition to this they’ll discuss what games can take from television and films to make characters more engaging. The event will take place at BAFTA in Central London at 7:00p.m. Wednesday 26th October. Interested Train2Game students can purchase a ticket for £5. UPDATED: Train2Game students can attend the BAFTA Game Writers Panel for free, find out how here. For more information, see the event page on the official BAFTA website. The Train2Game blog published excerpts of an interview with Brink Writer Ed Stern earlier this year. Train2Game students will know that reflecting on your work is an important part of game development, even for the biggest studios. As a result, Brink developers Splash Damage have discussed their game at the Game Developers Conference in Germany, pointing out what they could have done better. This is despite, as previously reported by the Train2Game blog, Brink reaching No.1 in the charts. 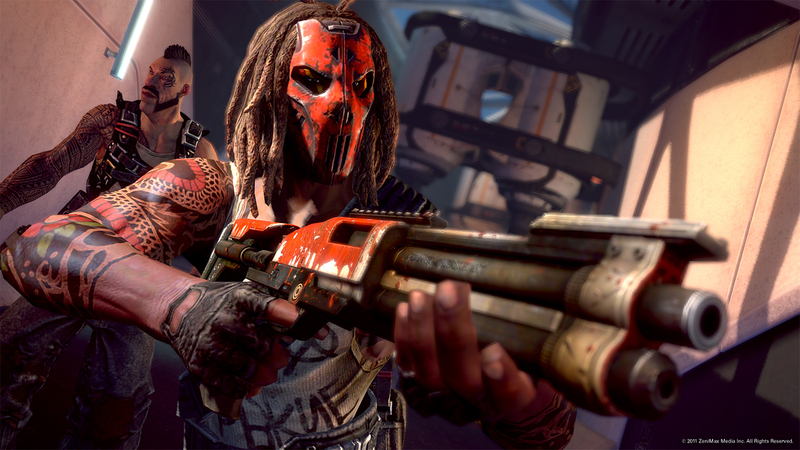 Lead Game Designer Neil Alphonso analysed Brink’s four key design concepts: blended game modes, objective and team based gameplay, the SMART system, and player customisation and persistent levelling. “Brink tried to be something new and different in several areas, In hindsight we perhaps strayed away from convention a bit too much in some areas.” he said. Alphonso also said the story, the Game Design of Brink, “had to take a back seat”. “There’s a lot there for people to read into it. But we don’t spoon feed it to people, which is maybe what some people were looking for.” He continued. “So in the end, essentially when the game is viewed as a highly contextualised multiplayer experience, it does really well. But if you view it as a cinematic single-player cinematic experience, it doesn’t really hold up.” Alphonso concluded. For more information on how Brink was developed, see the Train2Game blog. There’s also an in-depth look at the Art & Animation of the game. So Train2Game, what are your thoughts on Splash Damages anaylsis of Brink? How do you think the game could be have been improved? And how important is reflecting on a game post development? In news which could be positive for Train2Game students, UK developed Brink is the new No.1 of the UKIE/GFK Chart-Track All Formats chart, which this week features a strong showing from British game developers. Why positive? Because successful multiplatform titles developed here in the UK – Splash Damage are based in Bromley – could potentially lead to more opportunities for Train2Game students to find work. For a more in depth look at the development of Brink, see extracts of an interview posted on the Train2Game blog last week. The Train2Game blog has also taken a look behind the scenes with the Art & Animation department at Splash Damage. Lego Pirates of the Caribbean is another new entry at No.2, with Oxfordshire developers Travellers Tales multiformat title selling well across all platforms. The new entries of Brink and Lego Pirates of the Caribbean push last week’s No.1 – as reported by the Train2Game blog – Zumba Fitness down to No.3. Portal 2 and Call of Duty: Black Ops drop to No.4 and No.5 respectively, with Mortal Kombat falling three places to No.6, while Lego Star Wars III: The Clone wars at FIFA 11 move down two places each to No.7 and No. 8. Former No.1 Crysis 2 moves up seven spots No. 9, while a third new entry in the form of MX vs. ATV Alive completes the top ten. New releases this coming week include L.A. Noire – which as the Train2Game blog reported could be revolutionary for the games industry – and The Witcher 2: Assassins of Kings. So, is it a well deserved No.1 for Brink? 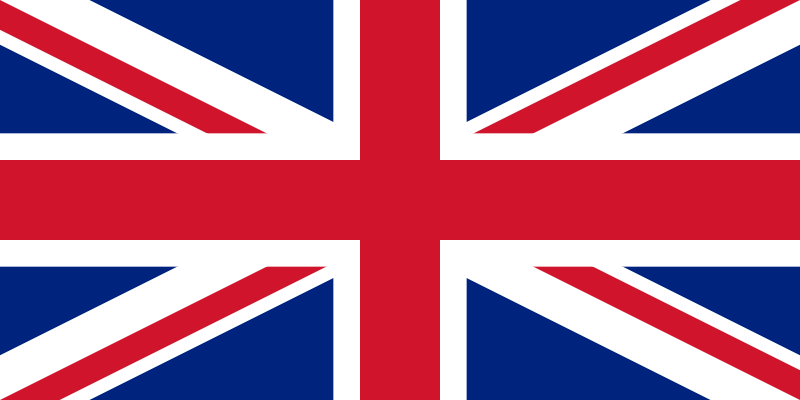 Is a strong showing from British game developers good news for you? And will L.A. Noire stroll to top spot next week? Brink is released this Friday – with many Train2Game students looking forward to it – so a lot of publicity for the Splash Damage game is doing the rounds online. Last week the Train2Game blog brought you an in depth look behind the Art & Animation of the upcoming shooter. Another article that Train2Game students may find interesting is an interview with Brink writer Ed Stern in The New Statesman. He begins by discussing why Splash Damage decided to make Brink in the first place. “We started off by saying; “We want to make this sort of a game, for this sort of a budget, that will allow the player to do this sort of thing – so where is it set and what is it about?” I can only answer the last two of those. Stern also gives an insight into how game development can be be a fluid, ever changing role for everyone involved in producing a game. “And that’s exactly how every element of games work: you don’t know how the whole package will be. When it goes wrong, it’s often because one element seems to be in a completely different game. When it goes right, everything is mutually reinforcing.” He added. “In one of the films there’s a Gilliam still image of someone reading a story to a child, and he describes this incredible scene of a thousand knights in sparkling armour — and says “it’s far too expensive to be animated in a film like this”. Which is brilliant as a joke about the limitations of film-making. “But games don’t get to do that. They don’t make jokes about their narrators, or the weird plight of their non-player characters generally — OK, a few do; Valve are fantastic at it.” He added. Yesterday the Train2Game blog reported on why Valve made protagonist Chell a silent character and that helped the humour. 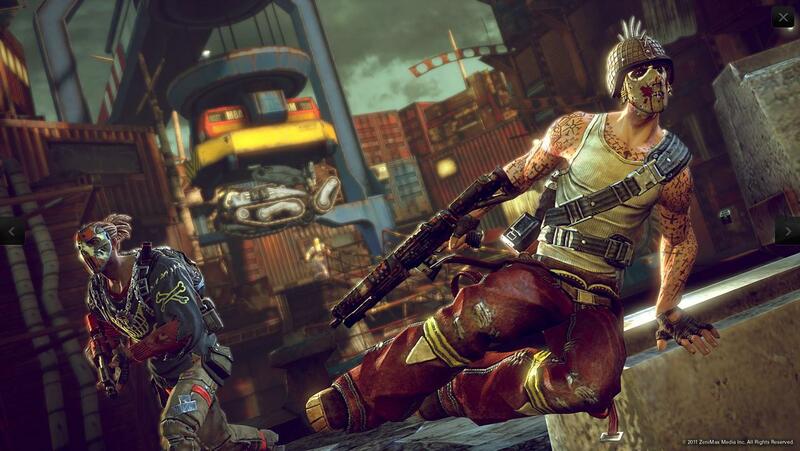 Splash Damage have high expectations of Brink, and as reported by the Train2Game blog, they’ve previously claimed it’ll ‘end the FPS genre as we know it.’ The game is released on Friday for Xbox 360, PlayStation 3, and PC. So Train2Game, what are your thoughts on Stern’s comments about game development? And what about what he has to say about humour in games? Would you attempt to develop a funny game? And are you looking forward to Brink?